Those (usually) horizontal lines running across your shirt or skirt or dress are flattering and fresh. Stripes are a surefire way to keep your outfit trendy without putting in much work at all. Are you looking for ways to spice up an outfit? Here’s 13 of the hottest ways to wear stripes (By: Boredbug). This has maybe a bit much going on– but it’s still fun and fresh. 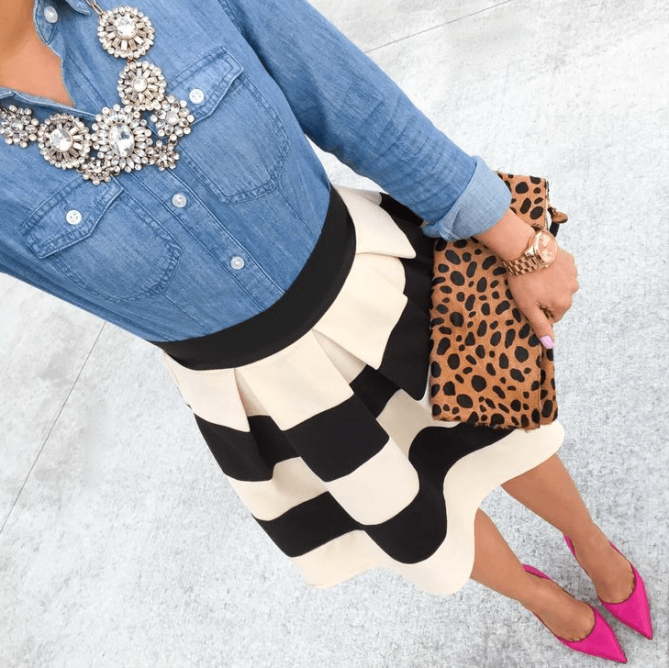 Chambray top, statement necklace, gold watch, leopard clutch, pink heels and finally, a black and white striped pleated skirt.